Unless you have been hiding under a rock for the last year, you’ll know that the most anticipated delivery this autumn is the Blackmagic Pocket Cinema Camera 4K. In particular everyone is desperate to see some actual footage shot using a production model, not one of the pre-production demo units that have been doing the rounds at the various shows. So as soon as we could we took the camera outside and shot some footage which is in the video below. In case you need a quick reminder as to why the industry is so excited about this camera here is a brief re-cap. Nothing available right now can deliver what this Blackmagic Pocket Cinema camera 4K can at a price point of £1,000 (approx.). It features a four thirds sensor, 13 stops of dynamic range and dual native ISO up to 25,600 giving you great low light performance. The camera captures 4K (4096 x 2160) images at rates up to 60 fps in a variety of codecs including CinemaDNG Raw/Raw 3:1/Raw 4:1, and various ProRes 422 options. Slow-motion rates up to 120 fps are available in cropped Full HD and it has a high resolution 5-inch touch screen and improved battery life. 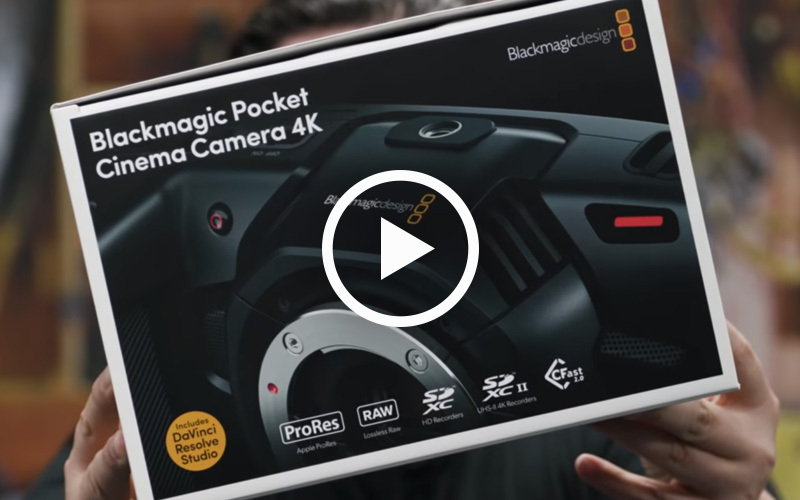 In the video below is an overview of what to expect from the Blackmagic Design Pocket Cinema Camera 4K menu, what you’ll find in the box and some quick footage samples in ProRes and also 4K Raw. Links to the 4K version of the footage from this video coming soon. Have we wetted your appetite enough? Watch the footage now by clicking the image below…enjoy.